Transboundary news to share! It’s been a long time coming and we are happy to report that the Alaska delegation including Governor Bill Walker, Lt. Governor Byron Mallott, Senators Lisa Murkowski, Dan Sullivan and Congressman Don Young issued a joint letter to the U.S. Department of State requesting that the US Federal Government get involved in an international solution to threats posed by transboundary mining between Canada’s British Columbia and Southeast Alaska. Act now, Pebble Mine comments due! The Trump Administration’s EPA is now seeking public input on its decision to reverse its 2014 Proposed Determination to add specific protections to water quality in the Bristol Bay watershed. The 2014 Determination would have ensured large-scale mining did not cause irreversible harm to habitat that sustains the world’s largest salmon fishery. Just as Bristol Bay fishermen hauled in a near-record harvest of 37 million sockeye salmon, the U.S. Environmental Protection Agency sent a blow to the industry by reversing an earlier decision to implement Clean Water Act protections for water quality in the watershed. You may have commented in the past, but today, fishermen can weigh in again to the Trump Administration on whether protections for Bristol Bay’s world-class salmon fishery should be erased…. Big news for salmon fishermen! Yesterday, the U.S. Senate unanimously passed Resolution 261 recognizing the month of September 2017 as “Alaska Wild Salmon Month” sponsored by Alaska Senator Lisa Murkowski. 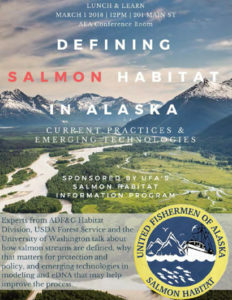 By recognizing Alaska’s salmon economy is supported by wild salmon returning to Alaskan streams and rearing in Alaskan waters, the U.S. Senate understands salmon habitat is the basis for one of Alaska’s most important industries…. Pebble Mine is back! Just as Bristol Bay fishermen hauled in a near-record harvest of 37 million sockeye salmon, the U.S. Environmental Protection Agency sent a blow to the industry by reversing an earlier decision to implement Clean Water Act protections for water quality in the watershed. The Trump Administration’s EPA is now seeking public input on its decision to reverse its 2014 Proposed Determination to add specific protections to water quality in the Bristol Bay watershed. The 2014 Determination would have ensured large-scale mining did not cause irreversible harm to habitat that sustains the world’s largest salmon fishery…. 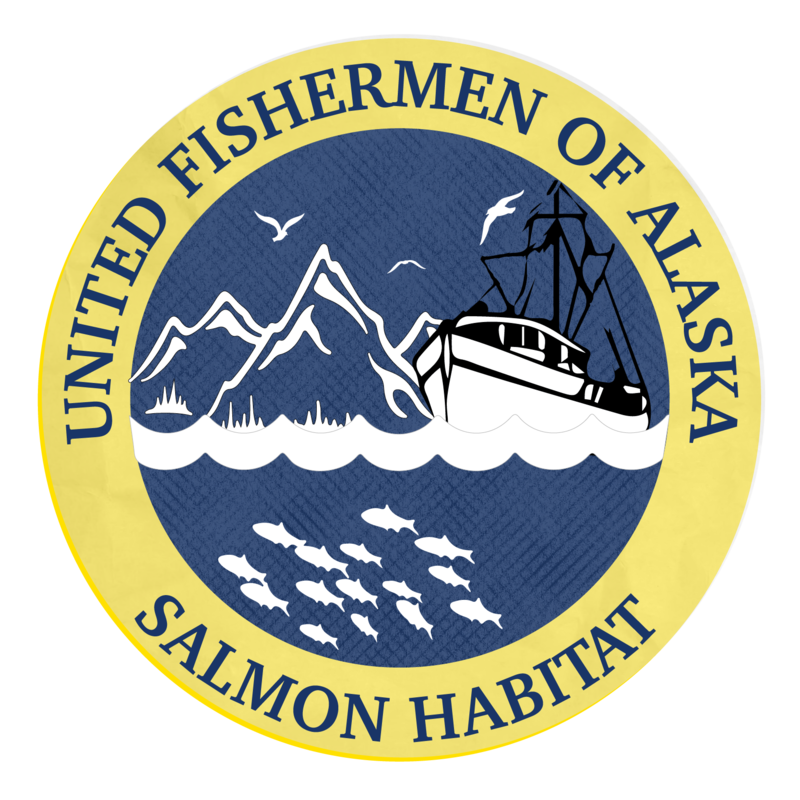 Last fall, UFA surveyed Alaska fishermen about their opinions on salmon habitat. Fishermen say salmon habitat is critical not just for our bottom-line but identity and way of life. Who is the least trusted person to provide information on salmon habitat? Which social media channels do fishermen prefer? 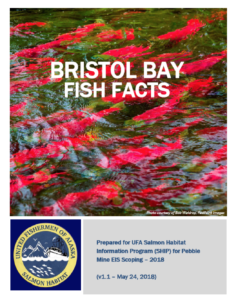 For Alaskan Commercial Fishermen, UFA’s Salmon Habitat Information Program (SHIP) is a go-to source for information on the health of salmon runs you depend on. By working together, we can become powerful advocates for pro-salmon policies and ensure commercial fishing jobs remain strong for generations. 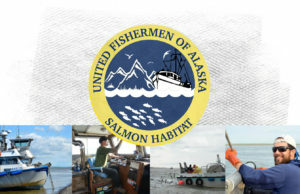 If you’d like sneak peaks into what other fishermen say about Alaska salmon habitat, how UFA will use survey results, and all the news about the salmon habitat you use, please keep in touch! Over the fall, UFA will review survey results, digest the information, present the data to the UFA Board at its upcoming meeting, and form a plan for moving the program forward. Thank you again for helping guide SHIP, and stay tuned for more!